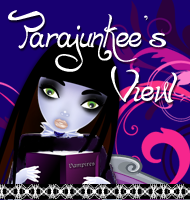 Midnyte Reader: Nine Lives: Mystery, Magic, Death and Life in New Orleans. 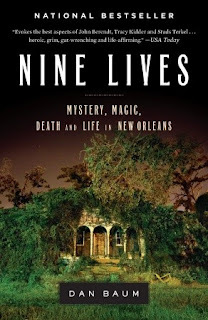 Nine Lives: Mystery, Magic, Death and Life in New Orleans. 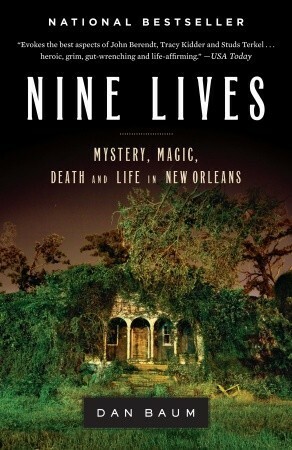 Title/Author: Nine Lives: Mystery, Magic, Death and Life in New Orleans by Dan Baum. My Thoughts: The truth is, there is no way I can do this book justice or describe how much it delighted me, educated me and touched me. Although I mostly read fiction, this book is about New Orleans...and I'm all about anything that has to do with New Orleans. 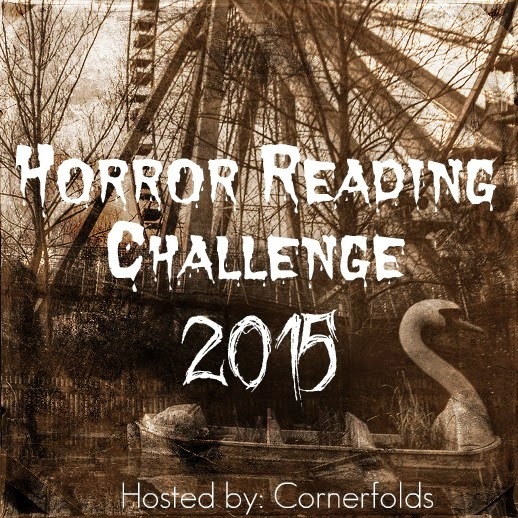 I even have a NOLA Reading Challenge (see button on sidebar). Plus, it reads like fiction. 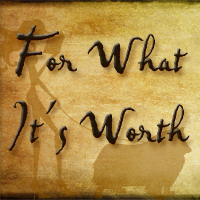 There is nothing stodgy or text-like about it. 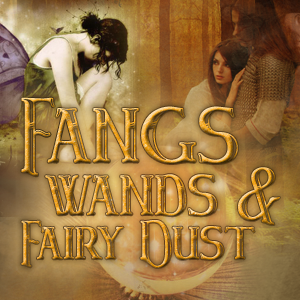 And although no supernatural events take place between the pages, the mystery and magic as stated in the title, embody this book. The uniqueness of the area, the love the people have for it. It isn't just a glimpse into the lives of 9 people, it is a close and personal visit. Nine Lives is called a "love letter" to New Orleans, and I couldn't agree more. I became even more enchanted with the city while reading it. 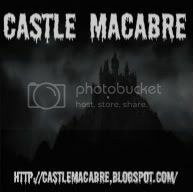 The book serves as a magical trek through 40 years and as a reader I felt as if I was walking along next to characters, as they went to barbeques, band practice, making arrests or fighting with family. Baum features nine people from varying socioeconomic classes, professions and temperments and gives a fascinating look into the inner workings of government, politics, education and street life through their eyes. The writing is easy to follow as are each character's journey through as they deal with love and loss, frustration and celebration. The people divulge their stories, their hopes and fears and their prejudice while Baum lovingly takes care of them in his words. Sometimes it is a little difficult to keep up with all the characters, but Baum states in the beginning not to worry about it...to just read and enjoy, which I did. Katrina and the aftermath take up the last third of the book and I did feel as if all the people in the book were being prepared in a way, for this event. And the event is not just the storm. It's what happens after the storm. The way the City and its citizens became refugees in other locations, the way swindlers preyed upon victims, the way the government could not help and in some cases hindered. The way, that people were swept aside literally and figuratively. I finished reading this right after Superstorm Sandy hit my own area so it was kind of odd to be reading about one storm and experiencing and watching the aftermath of another. Please note though, I would never compare the two. Although Sandy impacted a larger area, Katrina had more impact and more lives lost. Despite the heartache in Nine Lives, I loved it. I loved recognizing and being familiar with mentioned locations. Restaurants, streets, buildings. 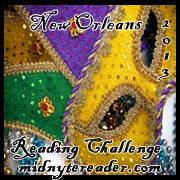 I loved viewing the inner workings of Mardi Gras, local politics, economics and tradition. I loved these characters. Through Baum's lens, I feel I know them and because of that, I feel I know the City I love just a little more intimately. This sounds like a great read. I love a book that plays with my emotions. I know, its a little weird, but I figure that it is a sign of a gifted writer if they can get me to feel like that. 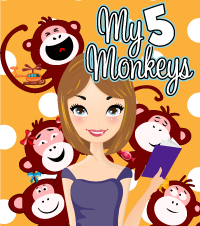 Thanks for the wonderful review and introduction. This is my first look at Nine Lives. This sounds great! The cover is just amazing! I don't often read non-fiction either, but I probably need to change that. Maybe I'll get to this one for your challenge, you haven't steered me wrong yet! Sounds fascinating. I think there's something so charming and magical seeming about New Orleans. Rich history.